In theaters now. Pre-order today! Haunted by nightmares of his horrific experiences, World War II hero Louis Zamperini meets Cynthia Applewhite, a young woman who becomes his wife. 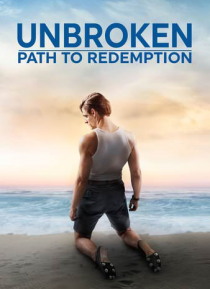 Zamperini's personal demons soon threaten to destroy his marriage -- until he hears the stirring words of the Rev. Billy Graham in 1949. Embracing his newfound Christian faith, Louis starts to turn his life around by le… arning to forgive his former oppressors and spreading the message of peace and love.